This map shows range areas for all leopard subspecies. 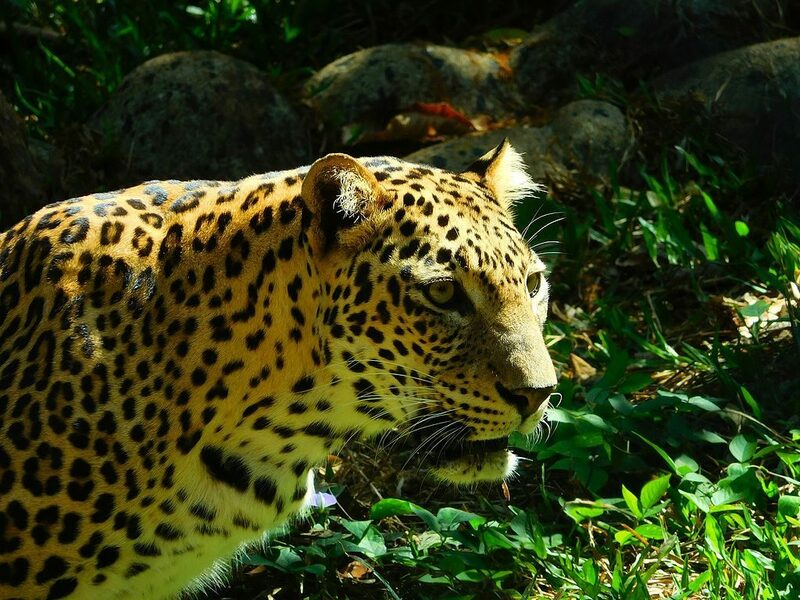 The Indian Leopard has larger rosettes than the other subspecies, with a paler coat in desert habitats, greyer in colder climes and more ochre in rainforest habitats. Like other leopard subspecies, the pattern of rosettes is unique to each individual and can be used to tell them apart. They are sexually dimorphic, with males larger and heavier than females. Like other leopard subspecies, Indian Leopards are solitary predators who remain well-camouflaged at night but come down from trees to hunt during the day. Where they co-exist with competing predators such as Bengal Tigers, Striped Hyenas and Dhole, they are more likely to drag their kills up trees. They are opportunistic hunters built for strength rather than speed, with large skulls and powerful jaw muscles to kill medium-sized herbivores. Chital, Sambar and langur species constitute most of the diet of the Indian Leopard, but they are also known to prey on Spotted Deer, Nilai, Wild Pig, cattle, hare, dog and porcupine. 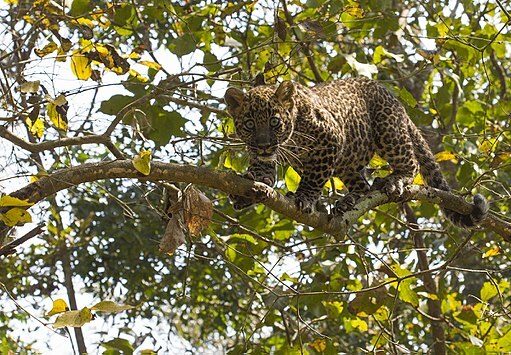 Indian Leopards are good climbers and rely on trees for cover, so are found in various forested habitats, including rainforest, dry deciduous forest, temperate forest and northern coniferous forest. It is estimated that 12,000-14,000 leopards occur in India, and the population is the most genetically diverse/outbred out of all the subspecies in Asia. However, the population has been severely affected by poaching for skins and body parts for the illegal wildlife trade; there were more than 3,000 leopards poached in India between 1994 and 2010. The latest IUCN assessment, which groups all leopard subspecies together as Vulnerable, recommends a full assessment of the Indian Leopard population, as there may now be fewer than 10,000 mature individuals. Mondal, K., Gupta, S., Qureshi, Q., & Sankar, K. (2011). Prey selection and food habits of leopard (Panthera pardus fusca) in Sariska Tiger Reserve, Rajasthan, India. Mammalia, 75(2), 201-205.